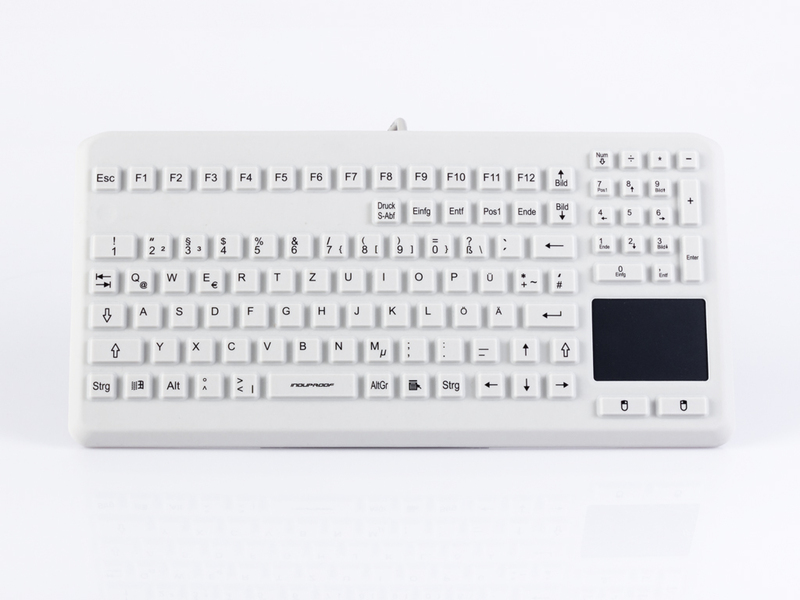 The InduProof® Advanced keyboard has a complete set of keys with numeric keypad, an integrated touchpad and convinces with a pleasant feel and the highest degree of protection. Its robust design makes it ideal for use in demanding hygiene-sensitive areas such as industrial food and beverage production. High-quality workmanship and the use of high-quality materials in this keyboard ensure a long service life. 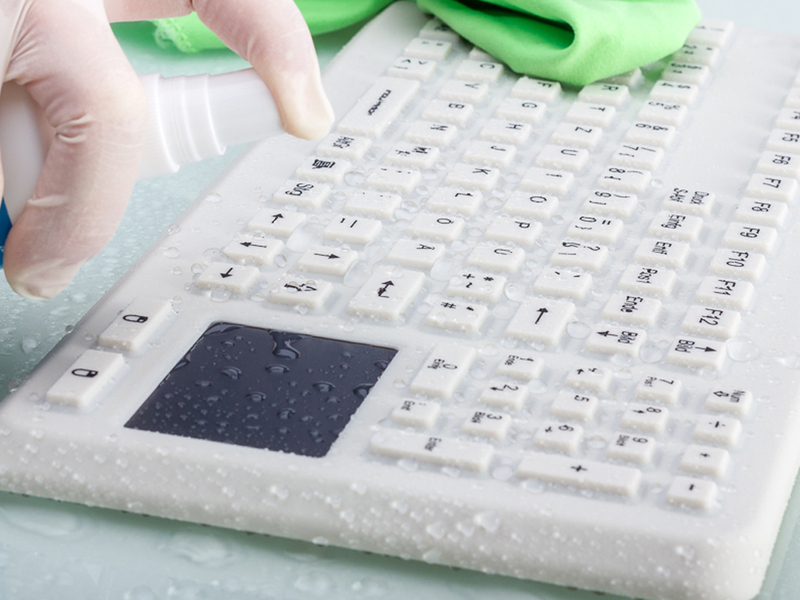 Thanks to the joint-free surface and the high-quality silicone, the keyboard is insensitive to water and dust. It is easy to clean, even under running water or by immersion in liquids. The use of different cleaning agents or disinfectants without abrasive aids is possible without any problems. 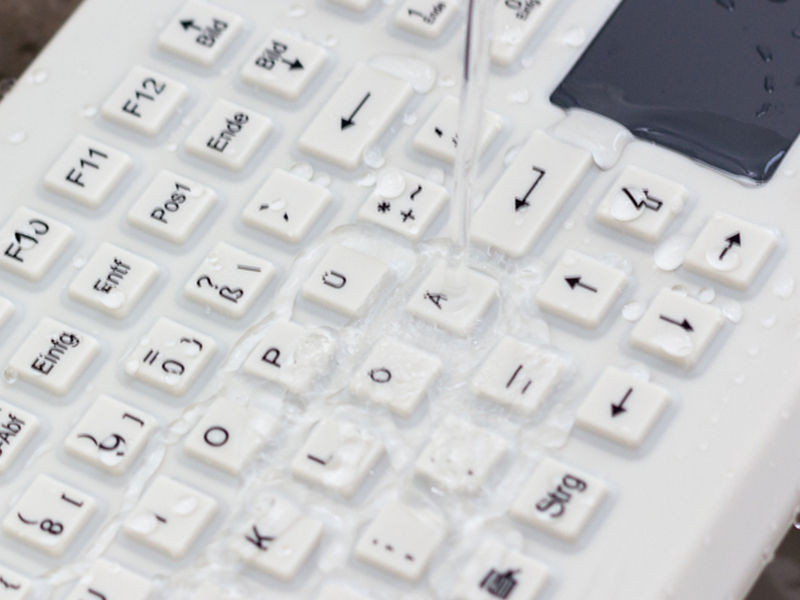 As a certified medical product, this keyboard is the competent problem solver in all hygiene-sensitive areas, especially in hospitals, practices or laboratories. As part of the InduProof® brand family, it is manufactured to the highest quality standards. Individualisations are also possible in small quantities. This product is guaranteed for four years. High mechanical & chemical resistance thanks to surface sealing with a special coating. Ergonomic design & pleasant tactile feel ensure gentle application. Can also be used with protective gloves.